Here is the list of the most beautiful Bay Area Holiday Shows in 2018. 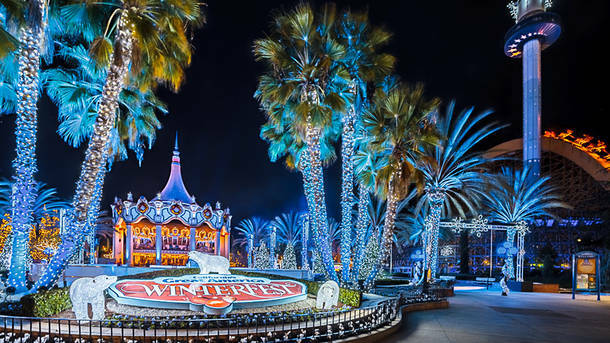 WinterFest is coming to California’s Great America in Santa Clara, bringing an ice rink, lights, decorations, live entertainment and acres of holiday fun for the whole family. Bake cookies with Mrs. Claus, frolic in the snowfall at Hometown Square, or watch live shows like “Cool Yule Christmas” and “It’s Christmas, Snoopy”, featuring the “Peanuts” gang. And if you want to celebrate the holidays with some thrills, take a spin on rides like Gold Striker, Flight Deck or more than 25 others. The winter scene and Christmas celebration will be dominated by one of the Bay Area’s tallest Christmas trees adorned with thousands of twinkling lights accompanied by giant toy soldiers greeting guests. This amazing event will feature more than 7 million LED lights, creating a holiday event for the entire family. 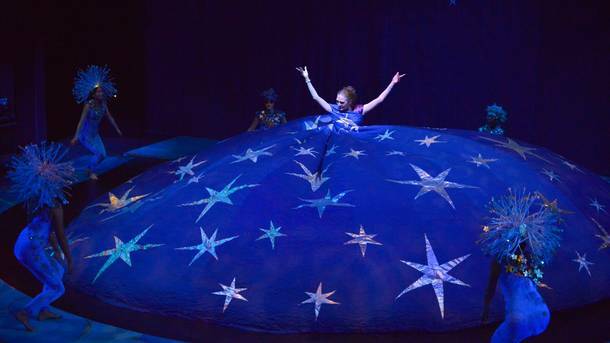 Over the past half-century the San Jose Dance Theatre has chalked up 52 enchanting productions of the dreamland adventures of a little girl and her treasured Christmas gift in “The Nutcracker” — and now’s your chance to snag a seat for number 53. With Tchaikovsky’s breathtaking score once again performed by the Cambrian Symphony, this ballet performance at the San Jose Center for the Performing Arts is a dazzling display complete with sparkling costumes, wintertime scenery and a giant Christmas tree. Guest artists Alison Stroming (of Dance Theatre Harlem), Fredrick Davis (former Principal Dancer with Dance Theater of Harlem), Claire Rathbun (of Syracuse City Ballet) and Jake Casey (of the Estonian Theatre Vanemuine Ballet) are set to star, as well as young student dancers from the company’s academy. Don’t miss this grand holiday adventure about a little girl who receives a nutcracker soldier as a gift and then dreams that the toy comes to life as a handsome soldier. Together they experience a grand adventure that takes them through an epic battle with the Rat King to the Sugar Plum Fairy’s magical Kingdom of the Sweets. This merry and bright holiday extravaganza arrives back in Santa Cruz after acclaimed performances last year, with plenty of seasonal cheer and awe-inspiring performances. A world-class circus filled with acrobats, dancers and zany comedy, “Joy!” also boasts live Candy Land-flavored music from a cappella group SoVoSó. Featuring the reunion of Pickle Family Circus stars Pino and Razz — also known as Cirque du Soleil soloists Jeff Raz and Diane Wasnak — this original production comes from Tandy Beal & Company, creators of the critically-acclaimed “Nutz RE-Mixed!”. The “Santa Cruz Sentinel” calls “Joy!” “astonishing and gorgeous. The ideal holiday experience,” so don’t miss the show at the UCSC Theater Arts Center Mainstage. 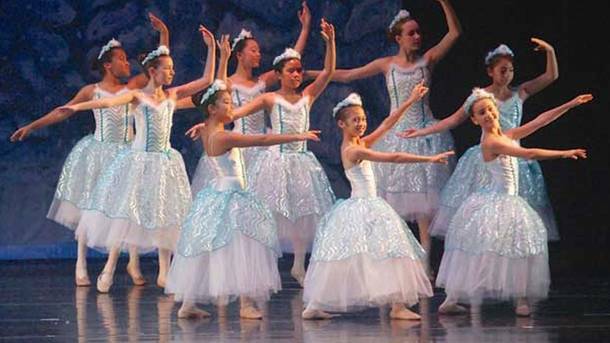 You’re sure to be enchanted at this special holiday concert, as the exuberant young dancers from Ballet Petit join San Jose Wind Symphony to perform selections from Tchaikovsky’s “The Nutcracker.” This family-friendly, afternoon affair also features Christmas carol sing-a-longs, a toe-tapping Hanukkah medley, a rollicking “Sleigh Ride” and a visit from Santa himself. 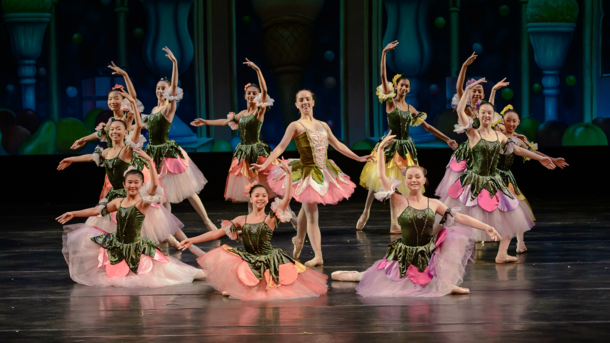 Bursting with energy and excitement, San Jose Youth Ballet’s “The Nutcracker” is a popular holiday tradition for audiences of all ages. Set to the cherished Tchaikovsky score, the ballet tells the timeless coming-of-age story of Clara, a young girl who receives a wooden nutcracker as a Christmas gift, setting off a magical midnight journey through the heat of battle, the cool beauty of a snowy wonderland and the delightfully sweet kingdom of the Sugar Plum Fairy. See internationally acclaimed guest artists Diana Gomez (Director of Ballet South Tulsa Dance Company), Joseph Gatti (Artistic Director United Ballet Theatre), Madison Keesler (San Francisco Ballet), and Benjamin Freemantle (San Francisco Ballet Soloist) alongside local talents. 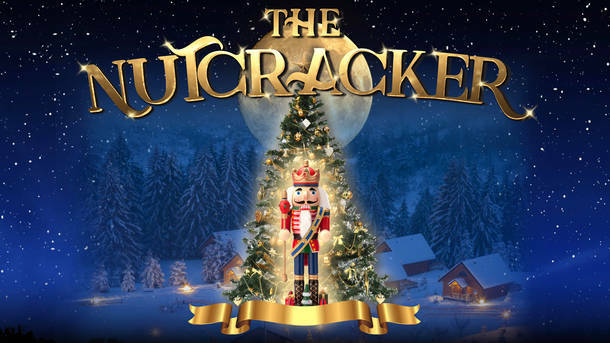 Whether you’re making your first journey to the Kingdom of Sweets or you’ve experienced it before, this production of “The Nutcracker” at Mexican Heritage Plaza is sure to put a smile both on your face and in your heart. Disney’s Frozen Sing-Along With Anna & Elsa Live! Anna and Elsa will be live onstage to guide the crowd as you get ready for the winter season by reliving the magic of Disney’s animated hit “Frozen” in a sing-along event the whole family can enjoy. Watch the beloved movie play on a large screen and sing along to all of the movie’s most popular songs, including “Let It Go.” On-screen lyrics make it easy to join in the fun, and dressing up as your favorite character only adds to the enjoyment. “Let go” of your inhibitions, because on this day, you’re the Snow Queen/Snowman of the night! 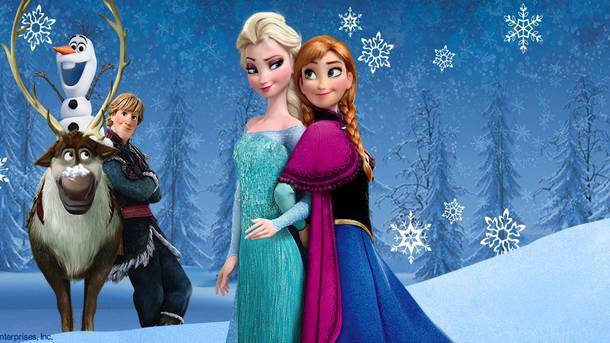 Join Anna as she sets off on an epic journey, teaming up with mountain man Kristoff and a snowman named Olaf, to find her sister Elsa, whose icy powers have trapped the kingdom in eternal winter. Relive the magic and majesty of this sparkling masterpiece at San Jose’s Montgomery Theater. Make your way to Gilroy this season. 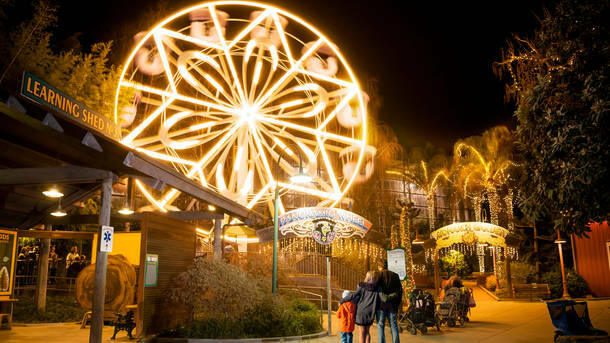 This December, Gilroy Gardens Family Theme Park is going to deck the halls with millions of twinkling lights, transforming the entire grounds into a festive winter wonderland for Gardens@Night Holiday. Hop aboard a magical train and take a scenic ride through the entire park. Then, take the little ones (along with their Christmas wish lists) to visit ol’ St. Nick himself. Ice skating, fun live shows, plus all your favorite rides will leave you and your family feeling merry and bright during the most wonderful time of the year. 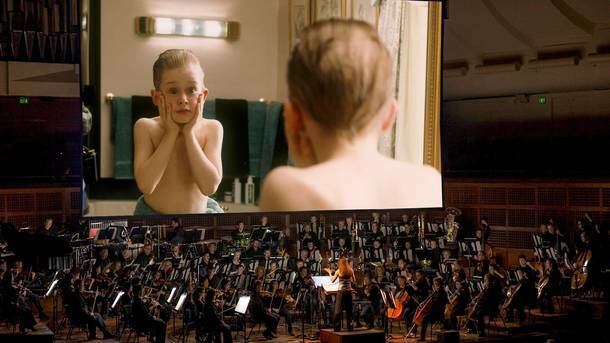 See the beloved holiday hit “Home Alone” on the big screen like you never have before, with John Williams’ exuberant score performed live by the San Francisco Symphony and unforgettable carols sung live by three children’s choruses in a special guest appearance at Davies Symphony Hall. The highest-grossing holiday film of all time, starring an adorable Macaulay Culkin, this hilarious and heartwarming comedy is holiday fun for the entire family. 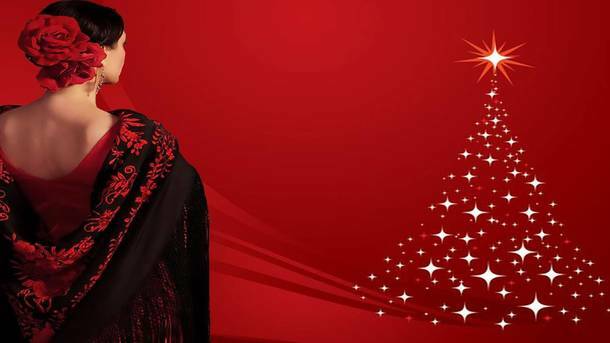 The Flamenco Society of San Jose will host a Christmas Flamenco Juerga (Flamenco Jam Session) with musical arrangements composed of dance, song, guitar and percussion. This is a performance of traditional Flamenco festival style in the spirit of the holidays. Showcasing a great cast of flamenco artists, including Koko de la Isla’s Dance & Company. Special guest appearance by the Flamenco Society Dance Academy. Feel the passion, power and emotion of flamenco in an intimate setting at the Historic Hoover Theatre in San Jose.